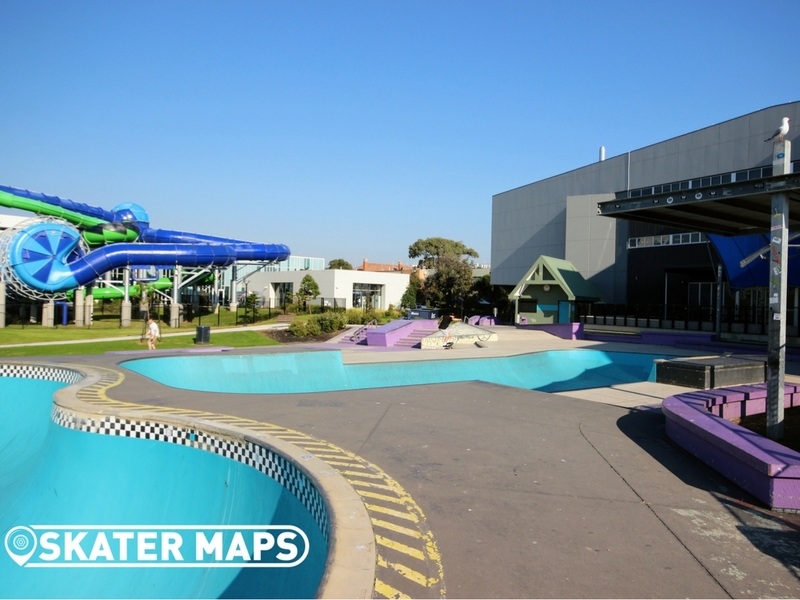 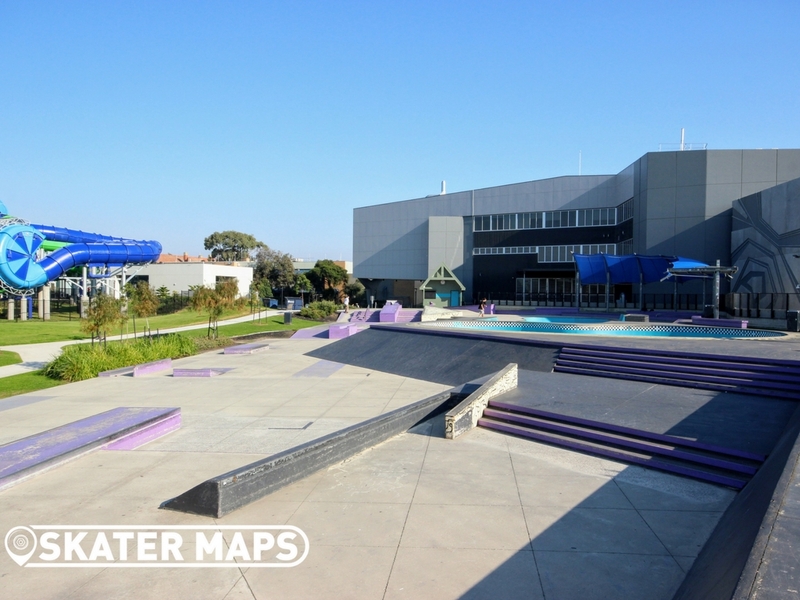 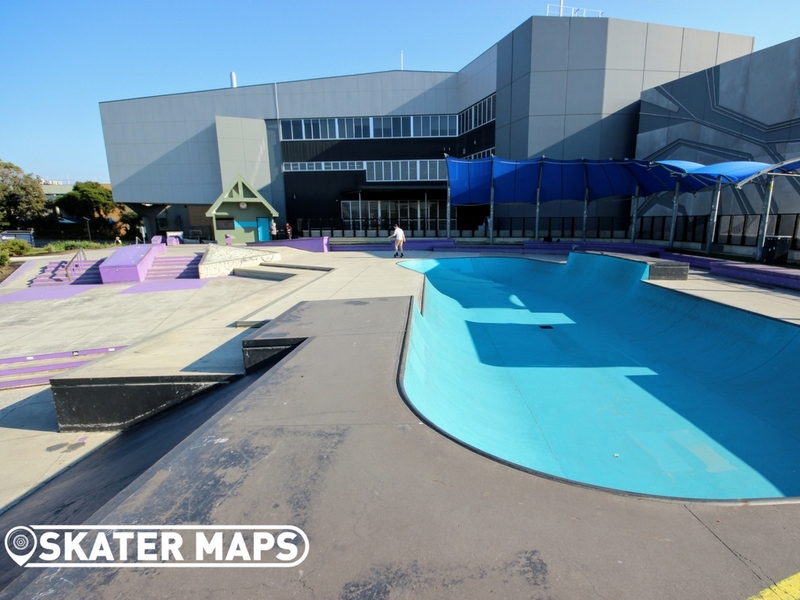 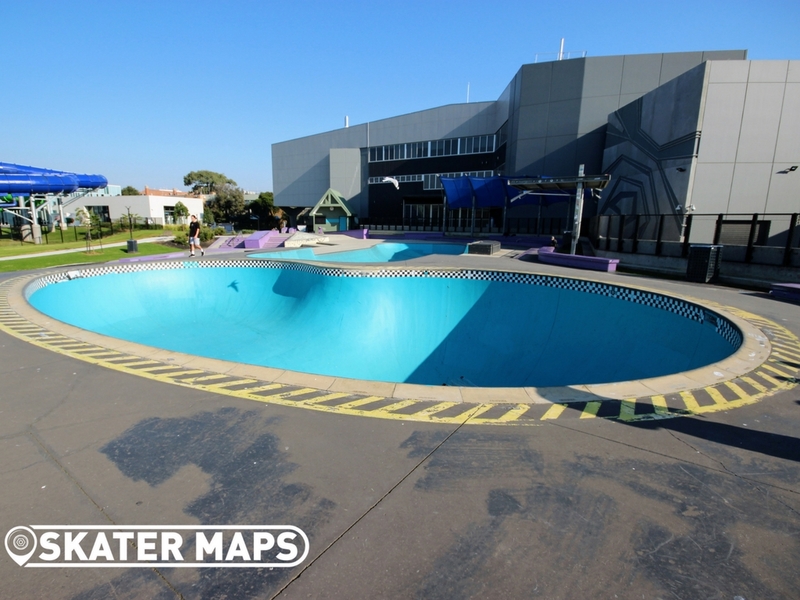 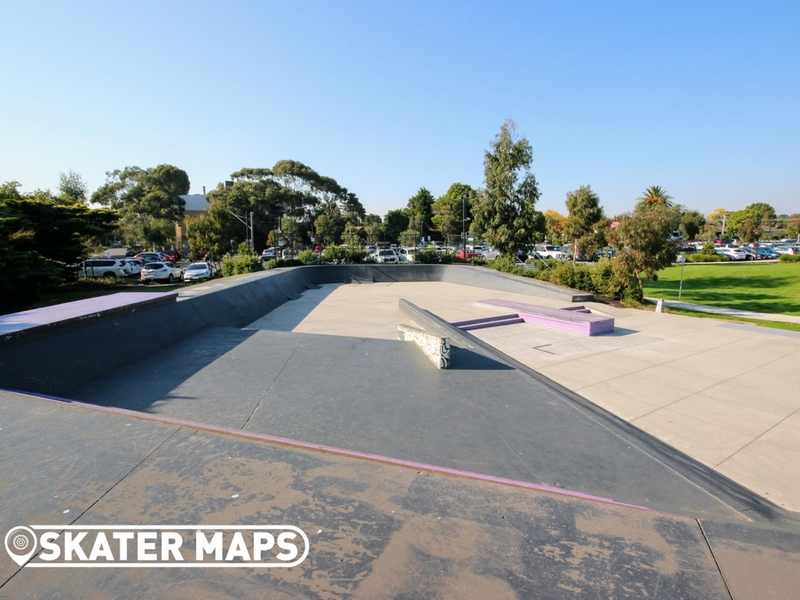 Frankston Skatepark is an incredible Skatepark beyond your wildest dreams and with 3,400 square meters of terrain, there is something for everyone! 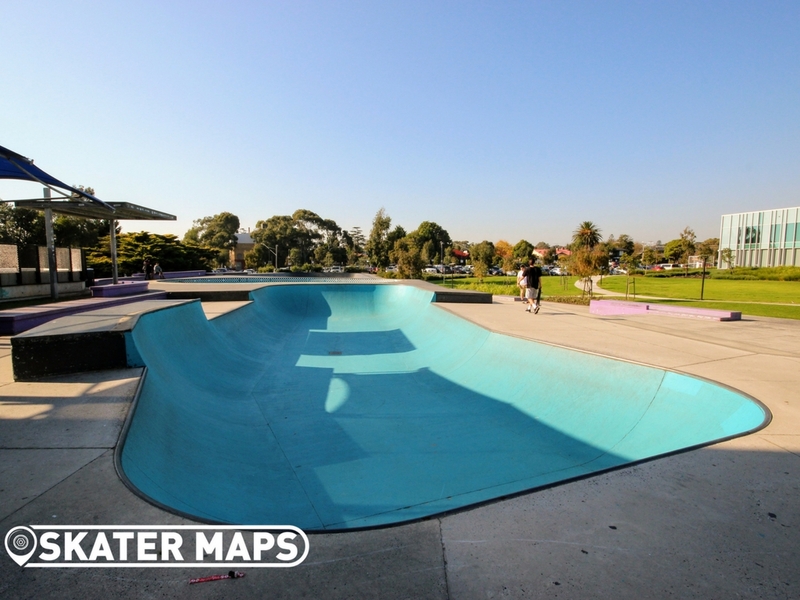 Built by Convic it features two independent bowls (one of which is a MONSTER) and a well thought out cascading street section. 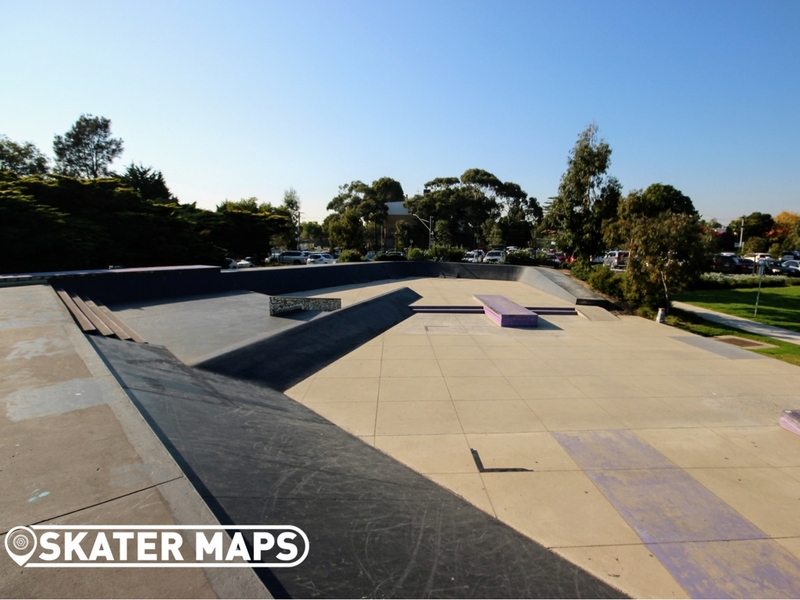 The park is located within the Samuel Sherlock Reserve, Cranbourne Road, Frankston, Vic (just a kick and a push from the train station). 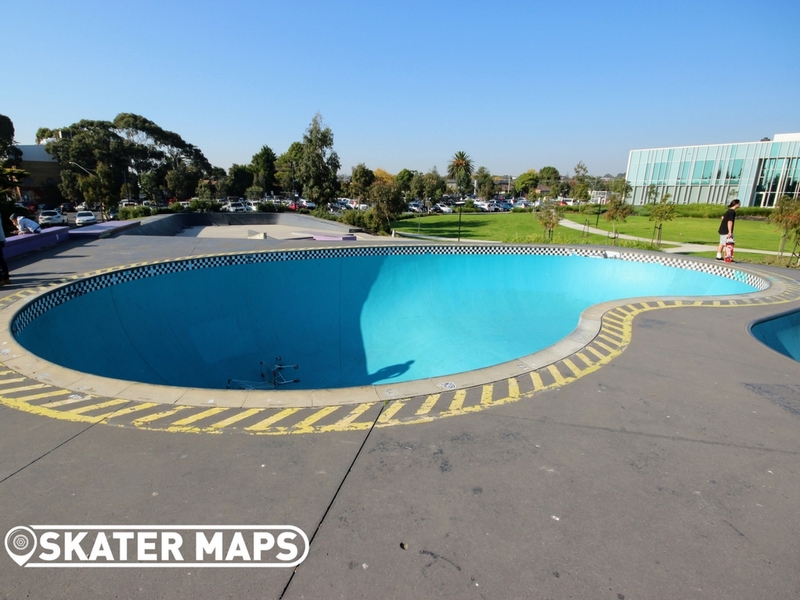 – The large bowl is a big, blue, smooth, kidney bean with a shallow end of around 7 ft and deep end of 12 ft with some serious vert. It’s so big that it’s difficult to get out of (as evidenced by the shopping trollies ‘sleeping’ in it in the attached photos). 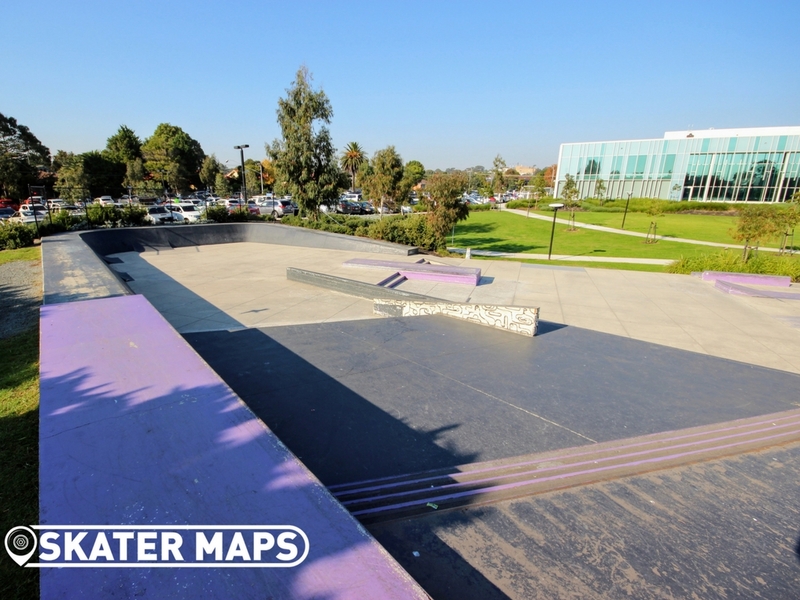 The coping is also slick granite pavers. 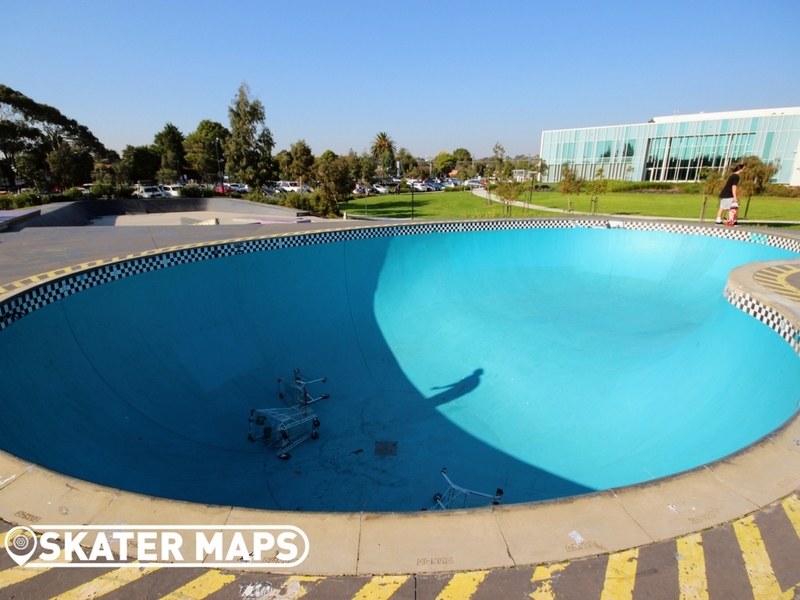 – There is a smaller capsule bowl of uniform depth (approximately 5 ft) with two different sized extensions and metal coping. 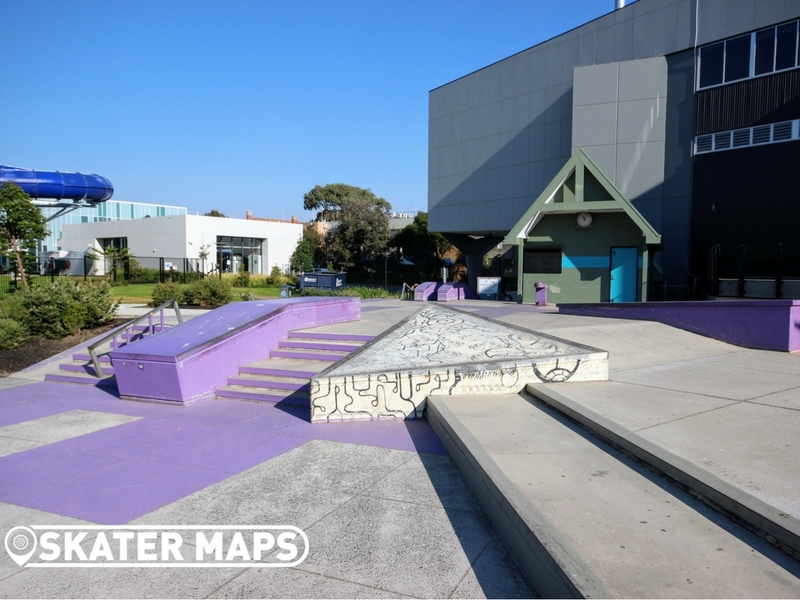 – The street section is a large plaza style setup with a 3 flat 3 hubba rail, ledges, double sets, kink rails, banks, boxes, manual pads, wall rides…the list goes on and on. 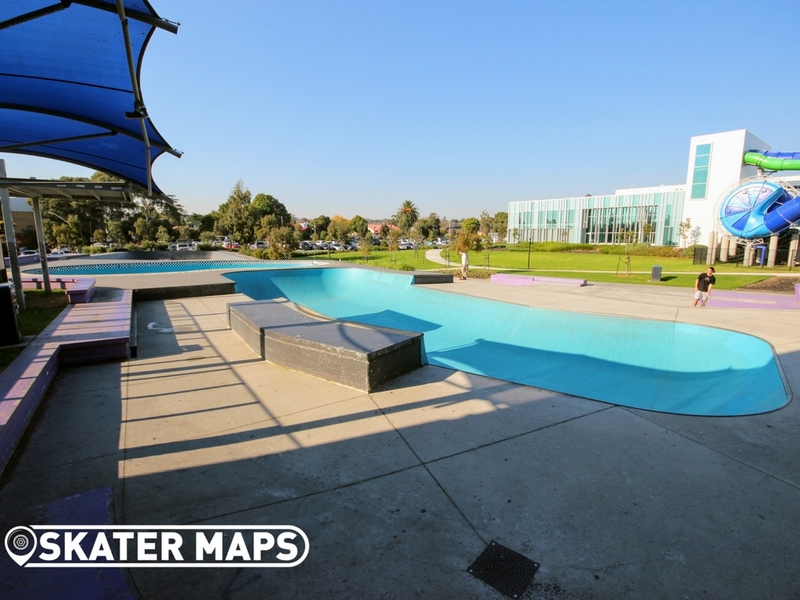 Check it out in the virtual tour! 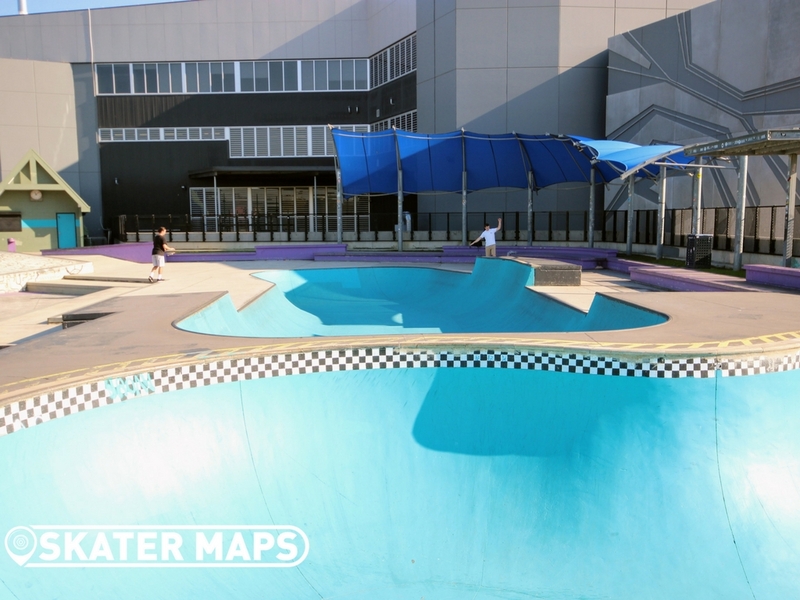 Local Skate Shops are Fast Times and Trigger Bros. 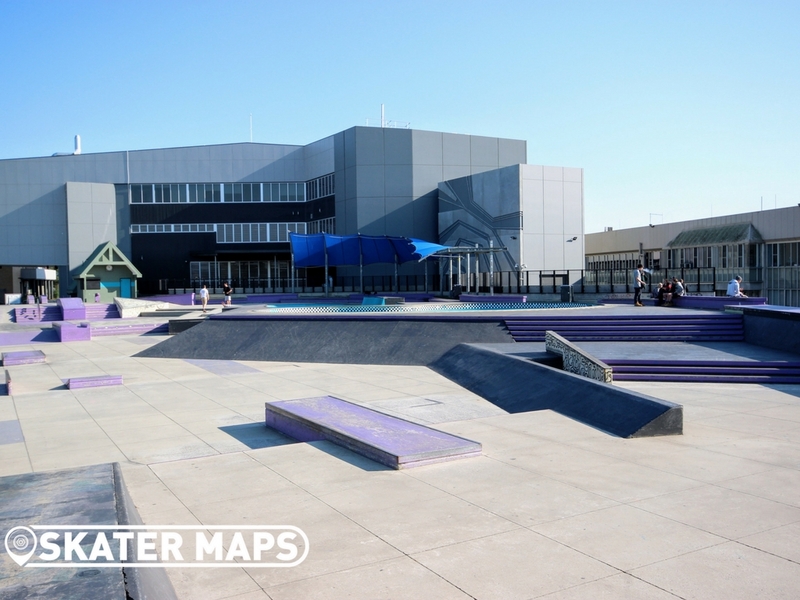 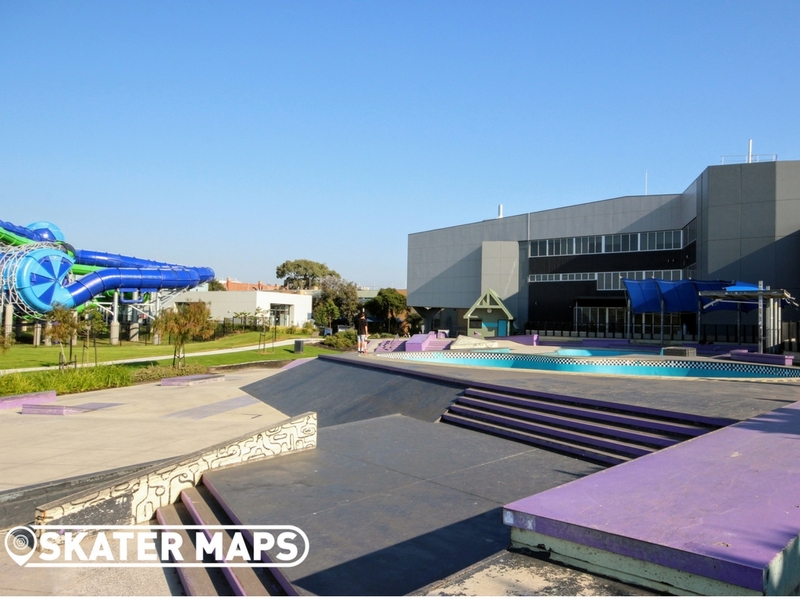 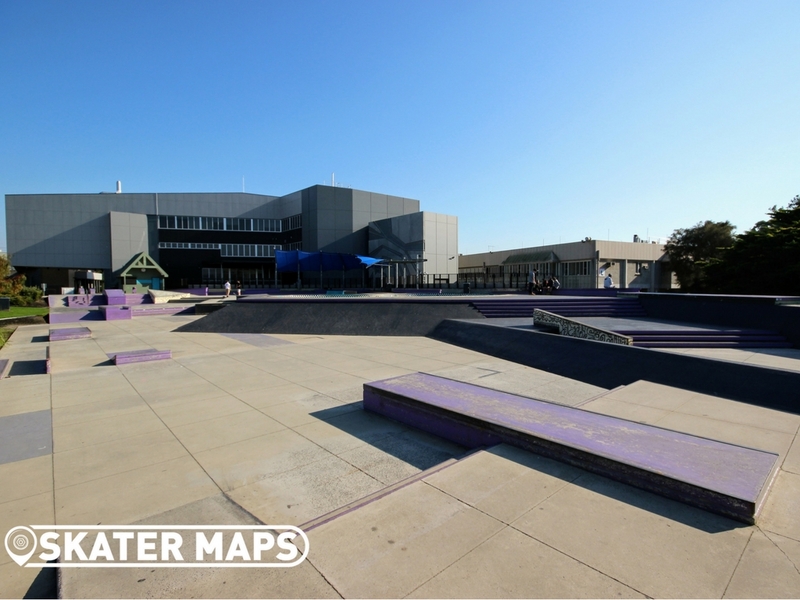 The Skatepark is located next to the Chisholm Institute so you can do a Home Economics course to learn how to flip eggs and then practice kick flips in your lunch break! 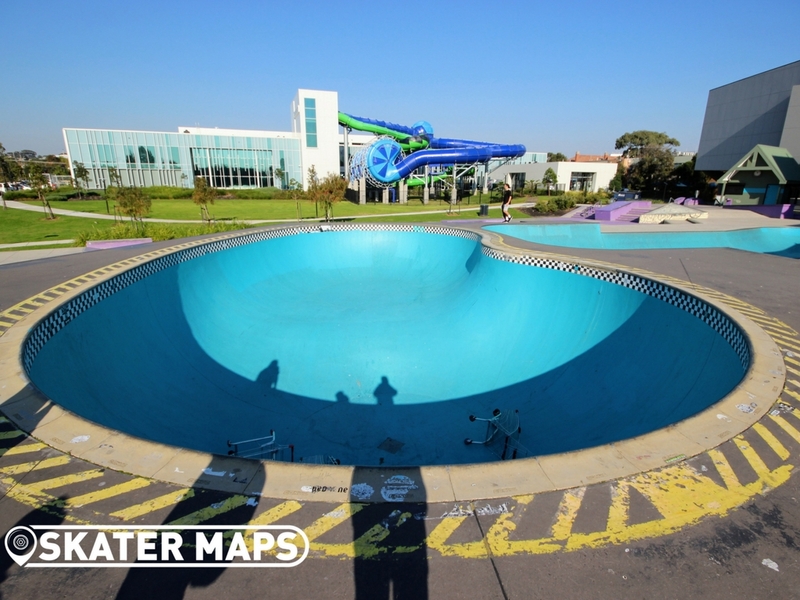 This park is tantalising Love the pipe.